SIC chief executive Maggie Sandison said the list of projects – which is being kept under wraps – could be altered and reduced over time as talks with the Scottish and UK governments progress. It would take inspiration from city region deals, which are agreements between the Scottish Government, the UK Government and local government that are “designed to bring out long-term strategic approaches to improving regional economies”. Each deal is tailored to the region and they feature a range of interventions to support “positive, transformative change”. For example, a total investment package of £315 million has been committed for the Inverness and Highlands city region deal to support improvements in digital connectivity, digital healthcare, skills, innovation and infrastructure. “The deal is a vehicle for capital investment into the islands infrastructure to enable the growth of existing and new economic sectors which would be transformational for the island economy and move us onto a path towards long-term sustainability and prosperity,” she said. 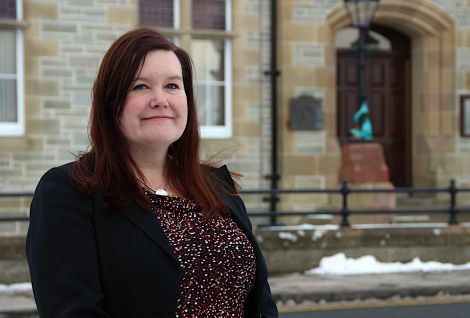 “Working with our public and private sector partners we have identified a list of ten projects in Shetland requiring £200 million total investment from public and private sources which we believe can generate in excess of 600 jobs through increased productivity and enhanced economic growth. A survey of Shetland’s employment carried out last year showed that the number of full-time equivalent (FTE) jobs in the isles had decreased by nearly five per cent since 2011. This included the loss of over 600 FTE jobs in the ‘services’ employment category, with the SIC among those cutting back due to belt tightening and also austerity. The survey did not include full and part-time crofting employment, fish catching employment defined as part-time or casual, or employment which was not based in Shetland. In 2017 a ten-year plan was devised through the Shetland Partnership Board as a way to boost the isles’ economy. The plan said it had been designed to “align with the aspirations set out in the ongoing islands deal negotiations”. It set a target of seven hundred new private sector jobs being created in Shetland by 2028. SIC leader Steven Coutts, meanwhile, hailed the islands bill formally becoming law as a “historic achievement” for the three councils. “This is enabling legislation, and much will now depend on future support from the Scottish Government to develop guidance to embed the legislation and help achieve our ambitions for the future,” he said.